List of famous British biophysicists with their biographies that include trivia, interesting facts, timeline and life history. Biophysics is an interdisciplinary branch of science that deals with the methods and approaches of physics to study the biological systems. Biophysicists are scientists involved in the study of biophysics. They engage themselves in studying the chemical and physical properties of living organism. Biophysicists study about the functions of the brain, heart and muscles in living creatures. They observe the effect of drugs on tissues and are involved in studying the evolutionary process of plants and animals, comprehending the nature of genetics and conducting tests to identify diseases like genetic disorders. Thanks to the biophysicists, we have antidotes or drugs to treat various lethal diseases including cancer. Biophysicists work on advanced molecular biology techniques like DNA sequencing, mutagenesis and cloning. Over the years, Britain has successfully produced several overtly talented and outstanding biophysicists whose awe-inspiring works have led to revolutionary breakthrough in the field of biophysics. 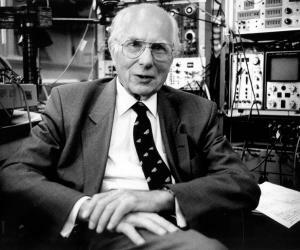 Remember Nobel Prize laureate Archibald Vivian Hill? 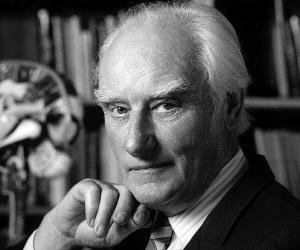 He was an English physiologist who is credited for discovering the production of heat in muscles, or even Francis Harry Crompton Crick who co-discovered the structure of the DNA molecule and was awarded the Nobel Prize for the same. 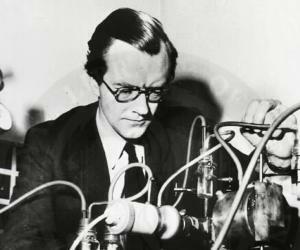 Maurice Wilkins is credited for producing the first image of DNA fibers. Follow this segment and find out in details about the life and works of famous British biophysicists.